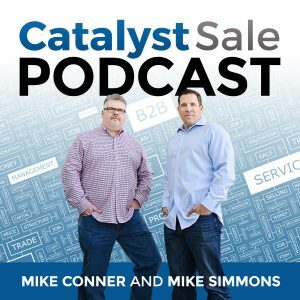 We are excited to have Dan Tyre join us on this week’s episode of the Catalyst Sale Podcast. The conversation went so well, we ended up recording our longest podcast to date. Let us know how you like this format, and who you would like us to invite to join us on the podcast. Dan is a director at HubSpot, entrepreneur multiple times over & inbound expert. We cover the do’s and don’t’s when thinking about outreach and connecting with your prospects. Building rapport - It isn’t just small talk, it is important. Invest your time in the information gathering phase, and it will pay dividends. When thinking about the connect call - don’t use this as your opportunity to qualify - You have not earned the right to do so. It is so important to get the person on the other end talking, and focus on the positive. So many times reps miss with this step. They start with their agenda, or talking about their company. Be helpful. If you are not researching, you don’t deserve the person on the other end to pick-up the phone. The connect call is focused on helping, be human, provide context. Be an effective warm caller, by investing time into your prospects. What’s the best time to call your prospects? What’s the best time to send an email? How many voicemails should you leave before expecting a response? Why does Dan recommend calling early in the morning? Very few people take this from the perspective of respect. Remember, you are an executive speaking to an executive. Put yourself in front of your customers as one human being to another. 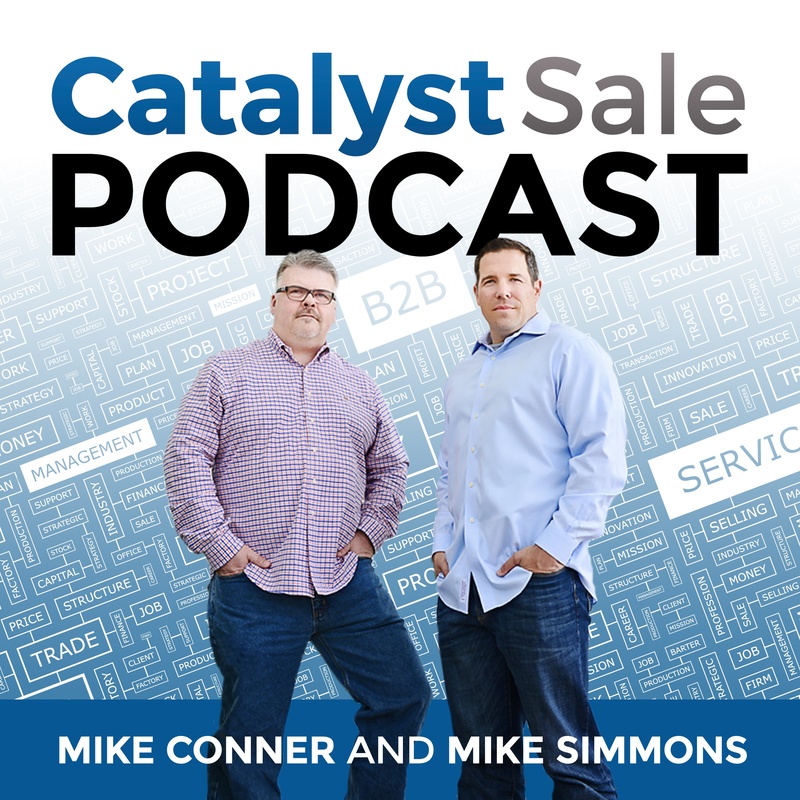 Dan and Mike share their experience, a number of best practices, and ultimately an approach that you can apply today to get results. You can apply these concepts and take action immediately by integrating these concepts into the Catalyst Sale Call Plan and Account Planning documents. You can connect with Dan directly via Twitter (@dantyre), LinkedIn or via the email mentioned in the podcast. If you have questions about the Catalyst Sale approach, or would like to discuss how Inbound Marketing teams and Sales can work better together you can reach us at hello@catalystsale.com or, schedule a call with us to discuss our practice areas. Please send listner questions and feedback to hello@catalystsale.com or contact us directly on twitter, facebook or LinkedIn. In every business, in every opportunity, there is someone who can help you navigate the internal challenges and close the deal. There is a Catalyst. We integrate process (Catalyst Sale Process), technology and people, with the purpose of accelerating revenue. Our thoughtful approach minimizes false starts that are common in emerging markets and high growth environments. We continue to evolve our practice based on customer needs and emerging technology. We care about a thinking process that enables results versus a process that tells people what to do. Sales is a Thinking Process. Copyright ©2018 Catalyst Sale. All rights reserved.